A healthy diet with exercise is the best appetite suppressant. There are many natural sources for appetite reduction, however. 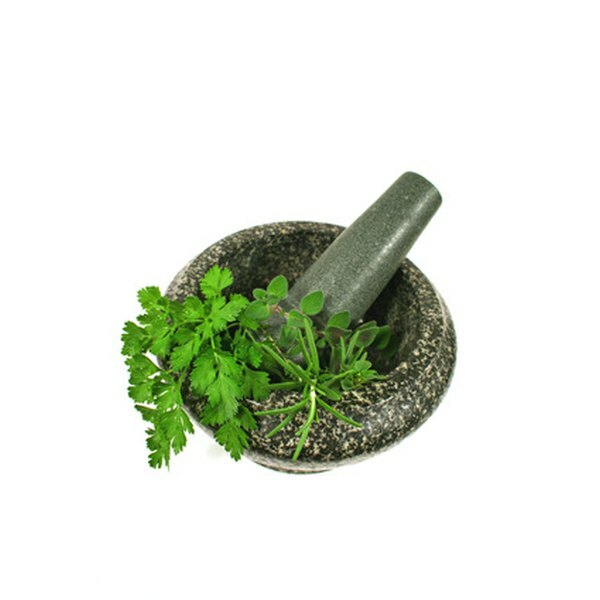 Herbs come from non-woody plants and have proven to be effective appetite suppressants. Green tea can offer you appetite suppression, as well as a metabolism boost for fat burning. Deborah Mitchell, author of "The Diet Pill Guide" says you need 3 to 6 cups of green tea a day to help manage your appetite. Dandelion may quell your cravings for sweets, in addition to flushing out the kidneys and boosting your metabolism. It has a light laxative effect on the bowels and may aid in cleansing. You can take dandelion in a number of ways—via capsule or by making tea with it. You might have heard of using fennel as a spice--particularly in pizza or Italian dishes. However, fennel can be used for its health benefits as well. It is known for reducing mucus and fat from the intestinal tract and is also a natural appetite suppressant. Fennel can be purchased as loose or bagged tea and tinctures. Licorice root, also known as “sweet root,” is known for its soothing and strengthening properties in the body. It also regulates blood sugar level--this reduces your cravings for sweets. Licorice may be taken in tincture, extract or tea made from the dried root. Cinnamon is known for its positive effect on blood sugar and insulin, hence reducing cravings for sweets. Cinnamon also stimulates fat cells and their release says Ann Louise Gittleman, author of "Fat Flush Plan." Not only can Siberian ginseng give you extra energy, it also can stabilize blood sugar and reduce cravings. Because of its stimulating effect on your body, do not use if you have high blood pressure, anxiety or drink caffeine. Ginseng can be purchased in capsule, tea and tincture form. Lori Hamann is a transformational life coach and counselor. She holds a Master of Science degree in counseling and is well versed in holistic health, wellness and personal development. Hamann has authored several e-books, Internet-based e-zines and courses in her area of expertise. She's been writing for 12 years.